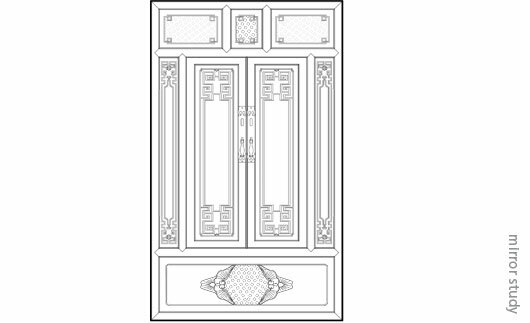 Detailed study of complicated furniture piece. Hand-drawn sketches helped refine measurements for input into Vectorworks. 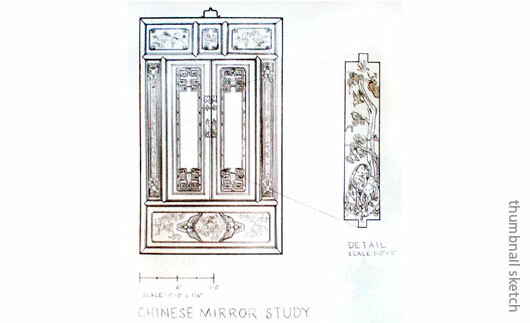 Chinese Mirror Study - Hand and Computer Drafting. Pencil: 11.5" x 11.75"